Professor Geyong Min is a Chair in High Performance Computing and Networking and the Academic Lead of Computer Science in the College of Engineering, Mathematics and Physical Sciences at the University of Exeter, UK. His recent research has been supported by European Horizon-2020, FP6/FP7, UK EPSRC, Royal Society, Royal Academy of Engineering, and industrial partners including British Telecom, Huawei Technologies, IBM, INMARSAT, Motorola, and InforSense Ltd. He has published more than 200 research papers in leading international journals including IEEE/ACM Transactions on Networking, IEEE Journal on Selected Areas in Communications, IEEE Transactions on Computers, IEEE Transactions on Parallel and Distributed Systems, IEEE Transactions on Communications, and IEEE Transactions on Wireless Communications, and at reputable international conferences, such as SIGCOMM-IMC, INFOCOM, and ICDCS. He is an Associated Editor of several international journals, e.g., IEEE Transactions on Computers, and IEEE Transactions on Cloud Computing. 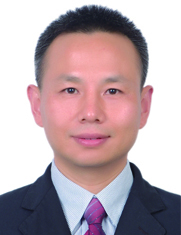 He served as the General Chair/Program Chair of a number of international conferences in the area of Information and Communications Technologies. Autonomic Future Internet (AFI) coupled with the emerging SDN/NFV technologies is regarded as a promising and viable solution for addressing many grand challenges faced by 5G, such as explosive growth of network data traffic, massive increase in the number of interconnected devices, and continuous emergence of new services and applications. In this talk, we will present state-of-the-art network architecture for AFI that is seamlessly integrated with SDN and NFV. The core Knowledge Plane within this unified architecture is responsible for real-time network big data analysis and knowledge discovery in order to maintain high-level behaviors of how the network should be configured, managed, and optimized. To establish a powerful, flexible and scalable Knowledge Plane in AFI, we will present the innovative big data processing technologies and cost-effective platform developed in our research group, including the unified representation of heterogeneous network big data and real-time incremental data analysis tools for extracting valuable insights to support better decision making for network design, resource management and optimization.